How to get rid of codeine addiction? It is the core question that may be answered by the well-known Doctor Jacob Hiller’s method used for treatment of this threatening disease in our Сlinic in Moscow. Codeine is a natural product produced from opium therefore codeine addiction is easily accountable. 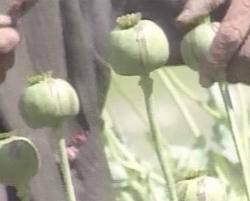 In its original form opium is a plant which represents the drug itself (opium can be smoked, sniffed, injected intravenously). The substances with similar chemical structure are classified as opiate drugs. 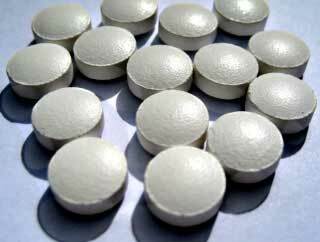 Codeine and morphine are almost natural products produced directly from opium. Heroin, methadone and tramal are the synthetic opiate drugs. Codeine is much weaker than morfiumom and 40 times weaker than heroin. In small dose it is used as a cure for coughs and as a medicine in the case of hyperperistalsis (diarrhea, stomach ache, ureteralgia). These are not the cases of codeine addiction. Codeine causes much lighter euphoria as compared to other opiate substances therefore there are few drug addicts who start using codeine as the primary drug and continue to suffer from codeine dependency in the future. The majority of drug addicts with codeine dependency are addicts who have used heroin, “shirka” (homemade heroin produced from poppy), or patients who occasionally take methadone or heroin and reduce withdrawal pains using codeine in the absence of other drugs. Most drug addicts with codeine addiction take tramal at the same time. Tramal is a synthetic drug similar to opiate introduced in the 1960th in Germany as effective acute and chronic pain. As it has much in common with heroin, the great number of drug addicts taking tramal has appeared in many countries of the world. Within two decades of the 1960-1970th it became one of the most distributed and readily accessible drug substances in the world. Codeine addiction treatment cannot be correct leaving out of consideration the fact that most codeine addicts take tramal and alcohol simultaneously. The latter is used to reduce withdrawal pains. Based on the above mentioned, codeine addiction treatment according to Doctor Hiller’s method also includes the specific treatment from tramal dependency and alcoholism (if required). Codeine addiction development mechanism is almost similar to heroin addiction development (in terms of changes taking place in the brain). Doctor Hiller’s treatment developed against heroin dependency and other dependencies similar to heroin by drug substances structure (see page with treatment method description) is completely suitable for codeine addiction treatment. Doctor Hiller’s method of heroin and similar drugs addiction treatment was developed in 1992, and codeine addiction treatment according to it is highly effective. Patients return home after a one-day stay in stationary department, take medicines out-patiently and are provided with psychiatric aid within the following 3 months after the treatment beginning.